Neste has a long history in the development of renewable products. The development already began in 1996, when the first patent application for Neste’s production technology for renewable diesel, NEXBTL, was made. Neste established the first patent application for renewable jet fuel in 2008 and already two years ago it was approved for commercial use. Today Neste is the world’s leading producer of renewable diesel globally. The first commercial flight fueled by Neste MY Renewable Jet Fuel™ was made in 2011. Lufthansa and Neste tested the fuel in 1,187 scheduled flights between Frankfurt and Hamburg and also in one intercontinental flight between Frankfurt and Washington D.C. in 2012. Fuel quality, aircraft performance, engine status, and fuel storability were systematically studied during the flights by the pilots and cabin staff of the aircraft, as well as ground-based maintenance personnel. “The first commercial long-term use of aviation biofuel with more than 1,000 consecutive flights demonstrated that Neste’s NExBTL renewable aviation fuel is ready for use in daily aircraft operation." A Lufthansa test showed that Neste MY Renewable Jet Fuel™ reduced CO2 emissions by a total of 1,500 tons for the flights concerned, and that the fuel consumption was 1% lower overall compared to fossil jet fuel. The aircraft and engines performed excellently and the condition of the combustion chambers, turbines, and fuel systems of the engines has been exemplary both during and at the end of the trials. The aircraft's fuel tanks remained free of any damage or corrosion, and the fuel was of excellent quality even after a longer-term storage. Oslo Airport Gardermoen is the world's first airport to offer renewable aviation fuel refined by Neste for refueling airplanes. 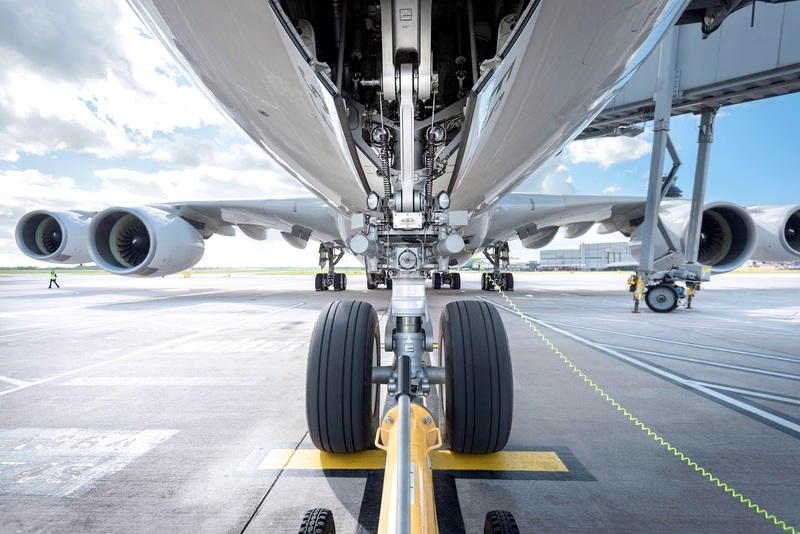 Lufthansa, SAS and KLM have already announced that they will be refueling their planes with aviation fuel containing a renewable component in Oslo. Neste's renewable aviation fuel is refined in Porvoo, and it meets the strict quality requirements for aviation fuels. The fuel is transported to Oslo as a 50% blend with fossil aviation fuel, and its distribution takes place via the airport's existing distribution system. Lufthansa has tested Neste MY Renewable Jet Fuel on a total of 1,187 flights. Visit Decarbonizing Aviation and download our free material on Sustainable Growth with Renewable Jet Fuel.